Ohio state first got a commitment from the 2020 four-star defensive back Lejond Cavazos in June 2018. At the time he was ranked as the number 10 safety and Number 197 player by national rankings for 2020. 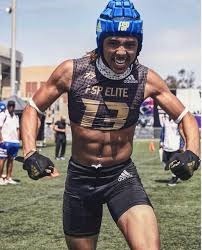 For all his defensive exhibition during that time, Cavasoz was highly coveted with 21 other schools including Alabama, Auburn, Florida, Florida State, amongst others with the top challenger being Oregon, Georgia and Miami Hurricanes. That was then, Lajond Cavazos has since recommitted himself to Ohio state university again. Why did he de-commit from the Ohio State University football team? A lot has been said about Cavasoz de-commitment from the Ohio States in December 2018. Amongst the superior reasons was the retirement of Head Coach Urban Meyers who is highly reputed as a very successful college football coach in history. Was it loyalty that prompted Cavazos de-commitment? All in all, the controversy surrounding Head coach Urban Meyers retirement was vocally pointed out to be out of health concerns and not dismissal from how he handled his former receivers coach Zach Smith domestic abuse allegations. 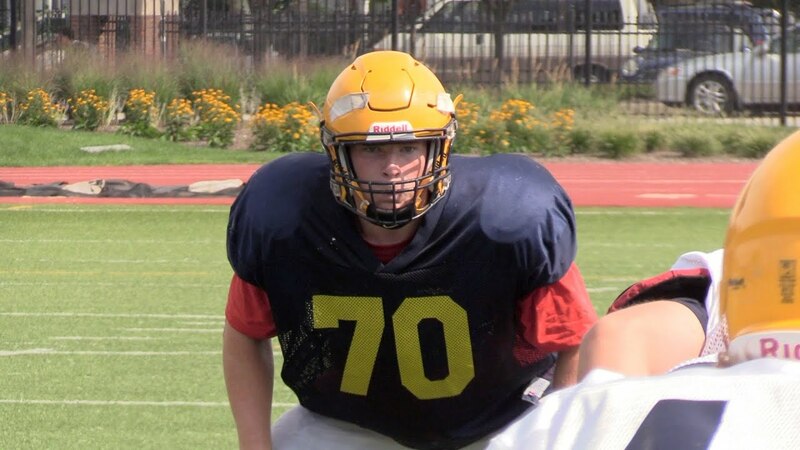 Following Cavazos de-commitment, he was again highly sought after by 22 other teams, the top being Michigan, Alabama and Ohio State which still wanted him to commit to the program. Why did he recommit to Ohio State? 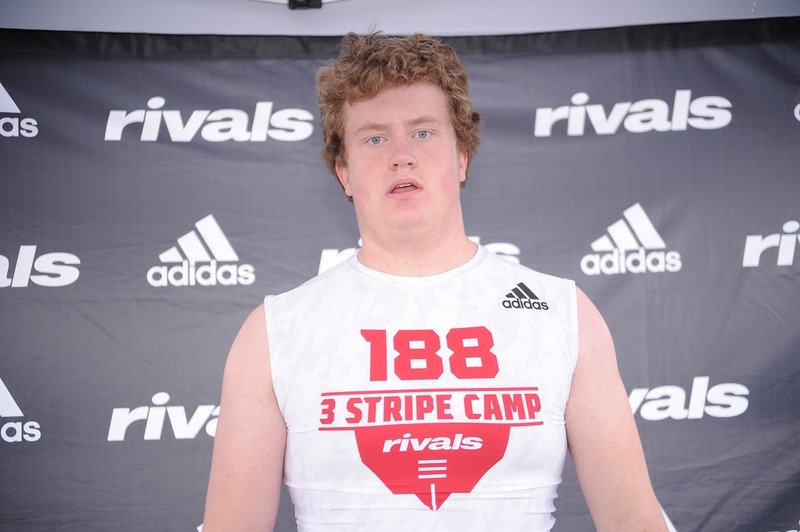 During his de-commitment in December 2018, Cavasoz stated that Ohio State still remains his top choice. A number of players had de-committed following Head Coach Urban Meyers retirement because they wanted to keep their options open in case better programs came calling. For Cavasoz, de-committing was because he had a dream of playing under retired coach Meyer. The new coach was unknown to him and had to inspire new confidence in him. When offensive coach Ryan Day stepped up as a head coach for the Ohio State, the de-commitments from Cavasoz and other players put him on the spot on his ability to reel in high profile, high-level players to Ohio State. Day silenced his critics by adding a Five-star player to his ranks. The signing of Defensive Zach Harrison during the transfer was a bold move. He again signed Quarterback Justin Fields and went further ahead to solidify his first two classes with five-star players. These bold steps made players recommit to Ohio State and to Day as it inspired confidence. 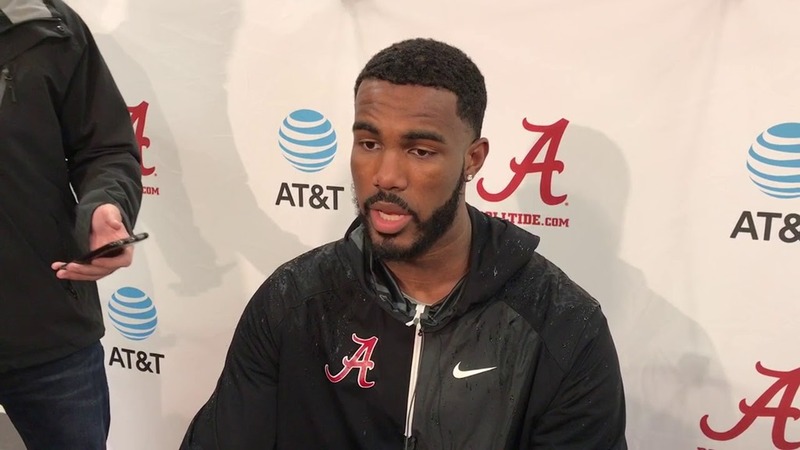 I thought it was an April Fool’s Day joke when talk of previous Ohio State and Alabama player C Daniel Giddens having enthusiasm for coming back to Ohio State. Ohio State is keen on taking Giddens back in Columbus. This comes after first year recruit Jaedon LeDee's name sprung up in the NCAA exchange window on March 28 and OSU declared the forward leaving. When you get over the underlying stun of Ohio State having enthusiasm for the arrival of a previous Buckeye that did not light the world ablaze, the move really bodes well from the program. Chris Holtmann is in urgent need of a backup for Kaleb Wesson and a good edge defender, and Kyle Young can't do it. Ibrahima Diallo could be that person, however not as a first-year recruit. Center Giddens was a four-star player and the nation's tenth rated big man in the 2015 class. As a green bean, Giddens played in 33 matches, opening seven for an Ohio State group that went 10-7 in the Big Ten and 22 of 14 overall. Giddens averaged 3.6 on the boards with 3.8 points. If not for the name and reputation related with him, Giddens feels like an incredible fit for the job. His tenure at Alabama didn’t break any records as they played small ball and Giddens struggled with a wrist injury. But he can block shots and fill a defensive void when Wesson sits on the bench. He won’t be looking for big minutes and will understand his role on the team. In the wake of playing three years, Giddens will have one year of qualification remaining. Even though Giddens knows about the Buckeyes, the Scarlet and Gray training staff has changed since the last time he was in Columbus and Tuesday's visit will permit Giddens to become acquainted with Chris Holtmann and see if there is a fit. Rutgers is widely considered to be one of the worst teams in the college Big Ten conference, and the woes of its coach Chris Ash grew, when its leading player Jonah Jackson announced that he was taking a graduate transfer to Ohio State. Ohio state is one of the leading teams in college football, having won conference championships and is the defending champion. Jackson was one of the three players who had opted for a transfer from Rutgers in the NCAA transfer portal, weakening the team further but the other players have not committed to any other team. 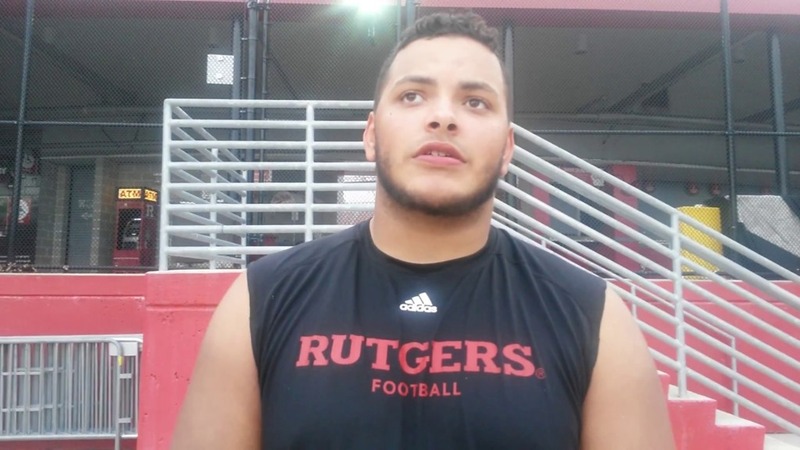 The Rutgers player Jonah Jackson is six feet four inches tall and weighs 305 pounds. He played a total of 31 football games for Rutgers and started at sixteen games. In the last season, he played for a total of eleven games for the Scarlett Knights. He was valued as a versatile football player, who could could play at either of the guard positions if required, and also at the center. He was widely regarded as the best lineman in the Rutgers team for offense. He has won a honorable mention in the All-Big Ten in the last season by both the coaches of the teams and the media. 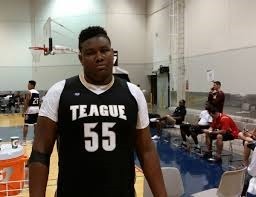 Dawand Jones, the 6ft 8 inches, 360lbs Ben Davis football offensive tackle and a talented basketball player is at crossroads with choosing the college to go play for, following an overwhelming pool of full scholarship offers from several universities across the country. He also has offers in basketball as well; although he loves basketball, he’s beginning to develop a stronger interest in football. In Basketball he also picked up a division 1 offer from Northern Michigan and some division 2 offers from the following schools like Cleveland state, Bowing state, Kent State, Ball state, etc. According to Jones, basketball is a game he loves and would love to play in college. He made official visits last summer to two of the universities mentioned above like Ball State and Kent State. He seems to be putting into consideration his interests in both basketball and football in order to determine the best fit and which school best serves his interest in both games. Dewand's mum would prefer the son to be more of a basketball player because she feels it suits him more and she believes he loves the sport, however, she has left it for him to make the choice. She believes the ball is in his court so the decision should be his. 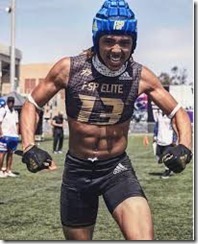 The recent move by the four-star wide receiver of Eastside Catholic High-school (Washington) Gee Scott to play for Ohio in 2020 has just left many Americans in surprise. This is after he committed to join the Buckeyes for the 2020 games. Considering his wonderful gaming skills, there’s no doubt that this move is really going to be a huge win for the state of Ohio. Scott (6-foot-3, 200 pounds) has just the right body size, height, and the needed speed for a desired performance in the field. 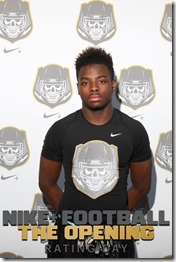 Gee Scott currently ranks at position 2 in the Washington state and on the 70th position nationally. Also, he is at number 15 based on the 2020 recruitments report. Gee’s decision to be one of the Buckeyes in 2020 has seen Ohio’s position improving from 5th to 3rd in the composite state recruitment rankings. This just supports how amazingly the Ohio state has gained following the commitment. The visit by the wide receiver Gee Scott seems to be where all the interests began. Gee was extremely amazed by whatever he saw at the Columbus campus. First, he found the environment quite conducive for learning and at the same time really promising for his future football career. Besides, he could not manage to underestimate the school's deep history in football. As he was watching the match, there's a time he even envisioned himself playing in the field for the Buckeyes. According to him, all the moves and passes were just so amazing and he got hooked up even much more. The connection between Scott’s family and Sims is way beyond powerful. It was founded about a decade ago when Scott Sr. (Gee’s father) was in a really tough life situation. Scott Sr. was really down financially to an extent that he could not manage to rent a house for himself. So, he resorted to using his car as the home. Well, it looks like another WR out of the state of Texas is headed to OSU. The Buckeyes have been fairly quiet lately. After the Zach Smith scandal and Urban Meyer's suspension, it didn't seem like the college had much time to recruit in the month of August. Commits started to slow down with the regular season starting, so OSU was only able to nab Jameson Williams in that time. They've broken their recruiting drought in a huge way after grabbing 2019 RB Marcus Crowley as well as 2020 WR Jaxon Smith-Njigba. That makes Smith-Njigba the seventh member of the 2020 class at OSU, and he's notably the only receiver so far. He'll more than likely get to know OSU's future QB Jack Miller very well over the next year before he formally signs with the team. His commitment should help to keep the Buckeyes in contention for the top 2020 class nationwide even though things are pretty early at this point. 2019 WR Garrett Wilson should also be a familiar face to Smith-Njigba. They're both from Texas and both seemed to get along pretty well while they were on campus watching OSU edge out a victory 36-31 over Nebraska. Wide receiver Jameson Williams committed to Ohio State earlier this month. The Class of 2019 star offers plenty of football pedigree to the Buckeyes. Here, we take a look at what the St Louis native offers. 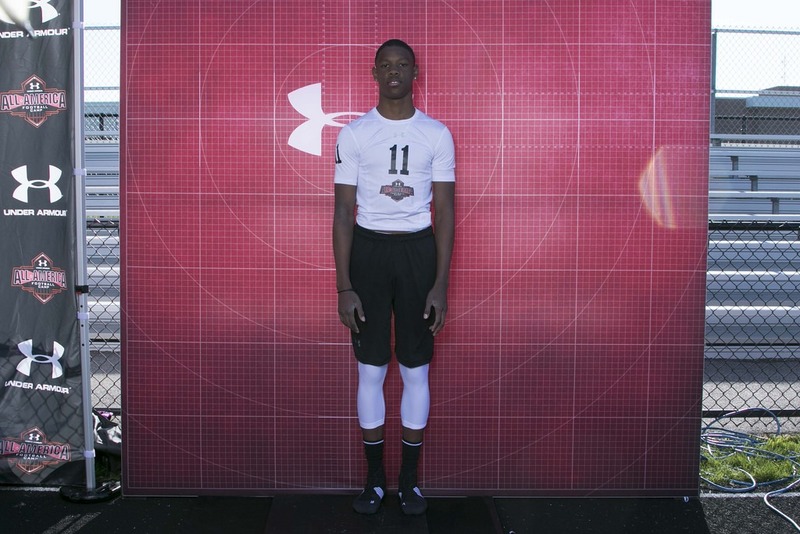 -At six foot two inches tall, and 170 pounds, Williams is rated as a four-star prospect. 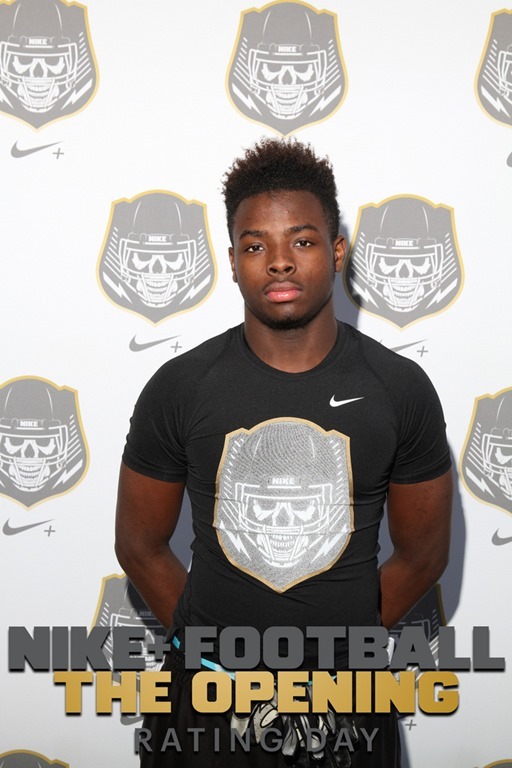 His placing in the 247Sports composite rankings is an impressive 130. 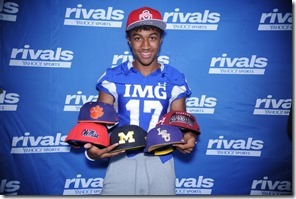 He opted for Ohio state from a list of finalists that also included Oregon, UCLA, Nebraska and Alabama . -Williams' commitment is the first for Ohio State since Urban Meyer was suspended. Commitments have been thin on the ground for the Buckeyes since then, with a dearth that stretches back to July 27. That was when three-star tight end Cormontae Hamilton pledged his future to Ohio State. Williams committing could kick things off again, with OSU having had a slow 2019 when it comes to recruitment, largely because Meyer was away from the program. The class now has 15 commitments in place, though, with under three months to go until the early signing period in December. - Williams joins five-star prospect Garrett Wilson as the second receiver to commit to OSU's 2019 class. Williams and Wilson offer different assets to the team. Wilson is the kind of receiver who looks like he could play any of three positions in OSU's offense. Williams, though, is more in the mold of Devin Smith, Johnnie Dixon or Terry McLaurin, in that he looks much more like a typical Z receiver. He also offers some threat to defenses on bubble screens, though, in the manner of Parris Campbell, boosting his versatility. -Williams is also fast. He has recorded a time of 10.54 second for the 100m, and holds the state record for the 300m hurdles. OSU running back Ezekiel Elliott is a previous holder of that record. -OSU need to start developing their options when it comes to receivers. Campbell, Dixon, McLaurin and C.J. Saunders are seniors now, and Austin Mack, Ben Victor and K.J. Hill will be eligible to be drafted after this season. OSU took three receivers from the class of 2018, and look set to boost their ranks with three more this year. Wilson and Williams look good choices to be outside receivers, but there is sense that OSU could use an additional Hback too. Wandale Robinson is one possibility for the role, and the three-star prospect visited Ohio State on October 6. -Acquiring Williams is a real feather in the cap for new Buckeyes receivers coach Brian Hartline. Williams had 36 catches, 1,062 yards and 15 tds in his junior year at Cardinal-Ritter Prep. He also returned three kicks for touchdowns. Commitments continue to pour in from the Ohio State class of 2020. And the latest to make the pledge was Darvon Hubbard, a 4-star player with the highest recorded carries on his running back. At the height of six feet and weight of 200 pounds, you would think that the alpha male would be less mobile than most. And you're wrong. Darvon Hubbard has a rather Ronaldo-like speed and agility on the American football field. 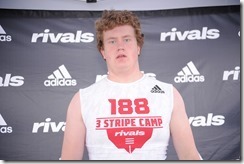 Heavy as he is, OSU's sixth commitment for the class defies the laws of physics rivaling an X-Man. No doubt, records will continue to be broken as Darvon Hubbard teams up like a glue with pal, Jack Miller who's a record-breaker in his own right. No wonder David Hubbard has received offers from all the major football schools in the country.